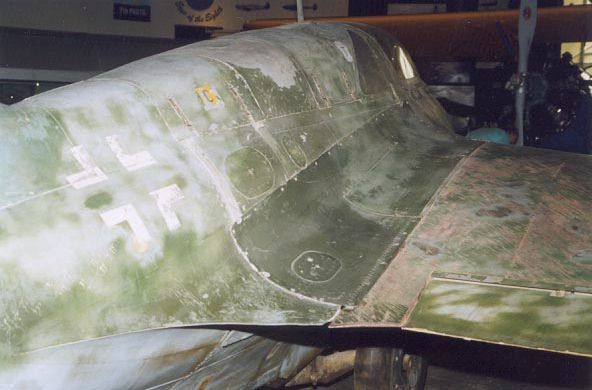 View of the upper fuselage and wing root, showing a large variety of colors and types of weathering. Some of the fuselage green appears to have faded or washed of, while other parts look like they have chipped off (the panel halfway between the 'T' and 'C' markings for example). The green on the trim surface (the inboard control surface) is rather different from the green on the wing root panels.